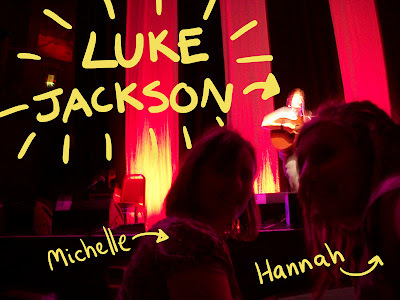 It was my friend Hannah's birthday this week, so when her brother won some free tickets to Bristol Folk Festival she very kindly asked me and our friend Jamie to go with them! HOORAY!!! The first thing that was needed was a birthday card. I really like making cards that are relevant to the person or what they'e doing to celebrate. Providing I keep having the time to do these things I don't think I'll be able to go back to buying cards from shops. These are just so much more interesting. On the inside I wrote her a Scavenger Hunt, full of all the things (based on my limitied experience!) I thought we might see. She loved the card, and really took the hunt seriously! It turns out the whole festival is held in one building in the city centre (a very sensible idea considering the weather we've been having lately) so things like wellies and a waxed mac weren't around but she got almost everything else, including three successively more fantastic beards and a couple of extra items we added to the back. It was a great day, with loads of interesting things to see and do, and some great acts to hear. 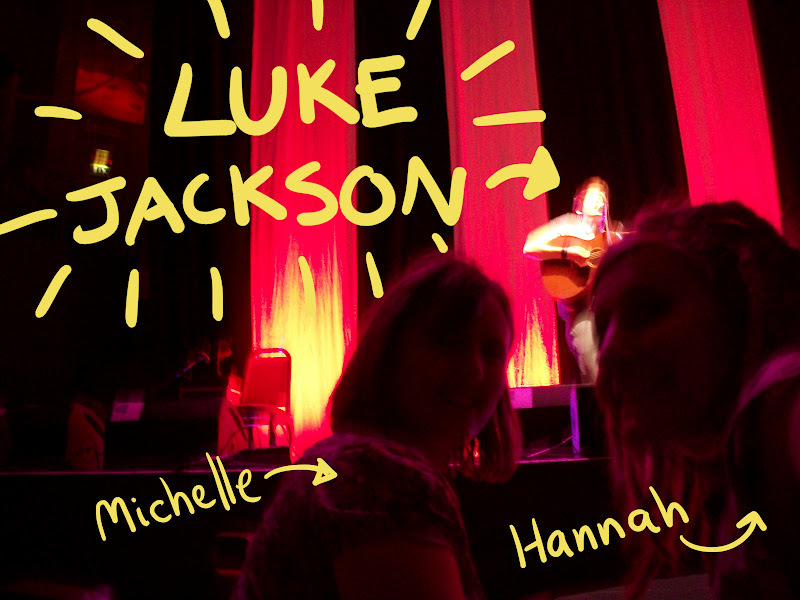 One of our highlights of the day, and a new discovery for me was Luke Jackson, a 17-year old singer/songwriter with a wonderfully controlled singing voice that would trick you into thinking he's older. Hannah very badly wanted to see him perform but we got held up on the way to the hall and just caught the last two songs. However we serendipitously bumped into him in the corridor later on and Hannah, being the sociable girl she is, immediately struck up a conversation. Later on, when one of the acts filled out their hall, he agreed to do a second performance for the stragglers, which we happened to arrive for just at the perfect time! We wandered into a near-empty hall and made a beeline for the very front seats. His set was great, including a really slick version of Wayfaring Stranger, a selection of his own songs, and the haunting traditional tune Oakham Poachers. I think I'm now a fan! Our other highlight was ahab, a three-part band (normally four but one was off having his appendix taken out, which seems a reasonable excuse. Not that the other lads agreed - they kept fondly mocking him for slacking off) with an American folk feel to their music and some fantastic close harmonies. They came on after a slightly depressing act and really changed the mood by having great laugh on stage. Favourite songs were 'Wagon Wheel', 'Run Me Down', and 'Lightning Bug' and ... well actually the whole set was awesome. Who needs a PA system? Not us; we have manly man voices and a bobble hat! In between all that there was Morris Dancing to watch, stalls to investigate, and dulcimer playing to learn. This was my call - I saw the word Dulcimer on a sign and abandoned the others to toddle off and explore. A dulcimer is a member of the zither family (stringed instruments where the strings are no longer than the sounding box) and they had both types there for us to see and try: the 'mountain' or 'lap' dulcimer and the considerably more complicated 'hammer' dulcimer. Within seconds of introducing myself I was sat on a chair with an instrument across my knees. 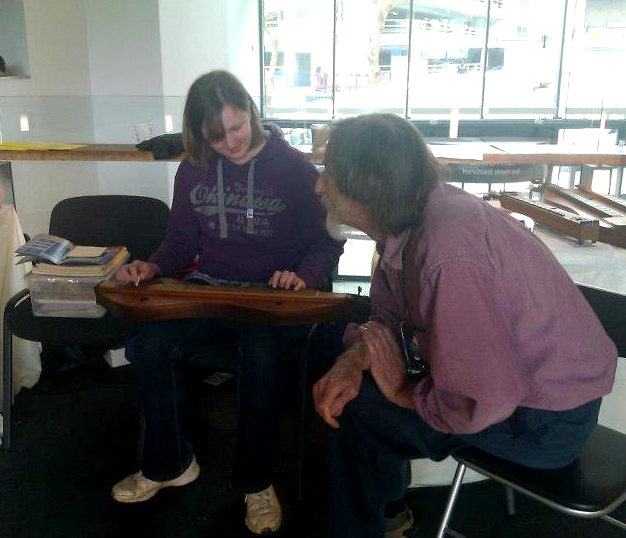 The mountain dulcimer I was shown had two pairs of 'drone' strings that provide the chord, and then one top pair that provides the tune which you play as you would the fretboard on a guitar. You strum all three together as though they were one string, and the result is a deliciously tangy, buzzy sound which is very distinctive. Most of the ones on display were made by dedicated hobbyists and each had it's own personality reflecting that of it's maker. There was also, as you would expect, a ceilidh to take take part in. It wasn't even a question as to whether or not we would go. Both Hannah and I love ceildh dancing, and with at least fifty people doing every dance there was a great sense of energy in the room. The great thing about ceilidhs is that you don't need any experience to get started because there is a caller yelling out the moves to you, but as you get a bit more advanced you can start adding in your own quirks and tricks. One couple next to us; a small energetic young woman and a tall man in a kilt (who Hannah immediately decided she wanted to dance with!) had clearly done this many times before, but a lot of enthusiasm and a willingness to look a bit silly from the rest of us goes a long way. We did well at some dances and failed dramatically and hilariously at others, I taught Jamie to polka, and Hannah's brother Dave does an excellent do-si-do. Obviously I said yes, not sparing a though for the birthday girl. The dance was Strip the Willow, which can be a bit... perilous so it was good to have a partner who knew what they were doing. He even thanked me for the dance afterwards, even though I briefly forgot my left from my right at the beginning. Possibly I was a bit flustered by the kilt-i-ness! We spontaneously decided to stay late for Karine Polwart and Show of Hands, who were headlining, and Hannah's brother generously put us up for the night. It was such a great day, and lovely to spend so much time with Hannah. My life is very busy, and hers is even moreso, so to have a whole 24 hours just hanging out with her was a real treat. She's one of the coolest, most caring people I know. Although I'll remember all the acts we saw and the big events of the day, some of the best moments were the little inbetween bits. The throwaway comments, the jokes, the discussing, the telling of stories, tiny things we'll probably never recall exactly but which make spending time with the people you like best really worth it.